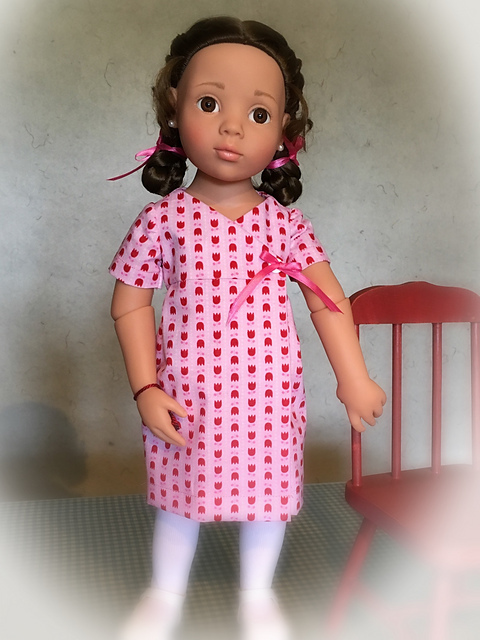 I wanted to quickly update to say that there will be a delay in getting my patterns up for sale. I've injured my right hand and arm and am unable to manage not only sewing or knitting, but keyboarding and using a mouse as well. I needed to make quite a few formatting and photo changes to meet the requirements of the site I'd hoped to sell on, and just can not physically do that right now. I may consider selling them as is, which worked well for my testers, on a storefront of my own in the interim. If I decide to go that route, I'll update you all here immediately! Andrea, Lilli, Fleur and Poppy. 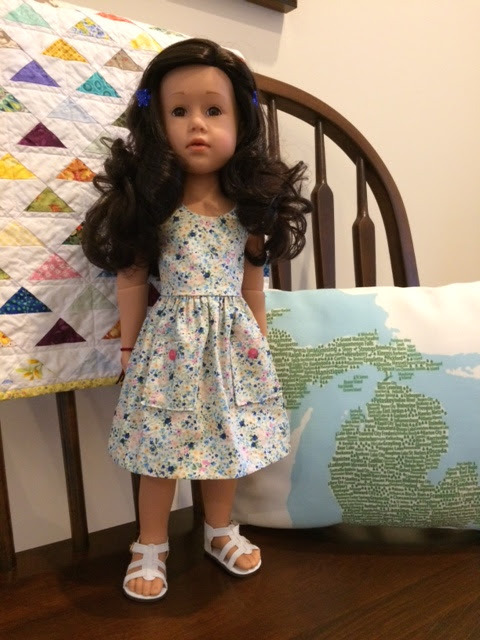 I have more great examples of the Summer Sun dress and the crop top and skirt from the amazing group of Lilli & Fleur testers! These dresses are all so pretty, I'm just going to let the photos do the talking! Once again, I can't thank this wonderful group enough! They are amazing! 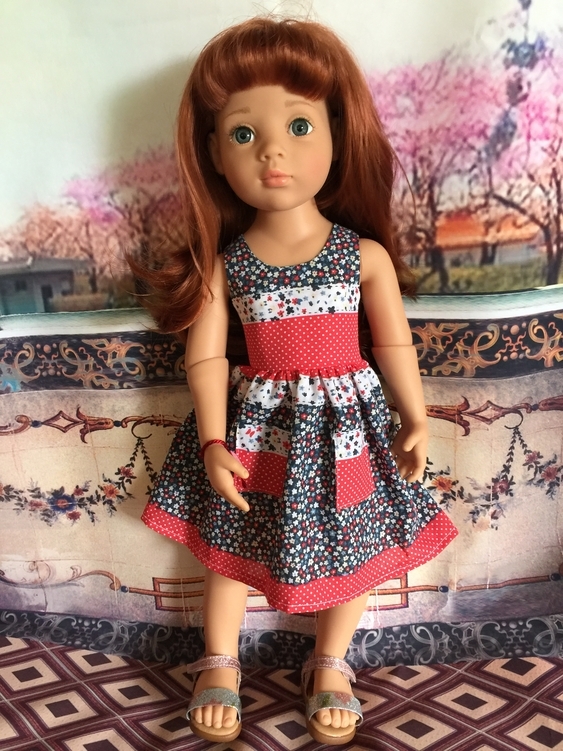 Summer Sun Dress with a variation! 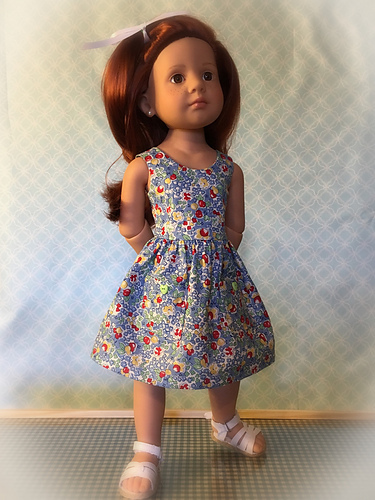 The Summer Sun Dress pattern is out to the Terrific Testers! I am so excited about this pattern! It has a really fun crop top and skirt variation included with the pattern! The bodice is close fitting and both the dress and skirt have functional pockets. The back is different too! It has straps instead of a solid back. 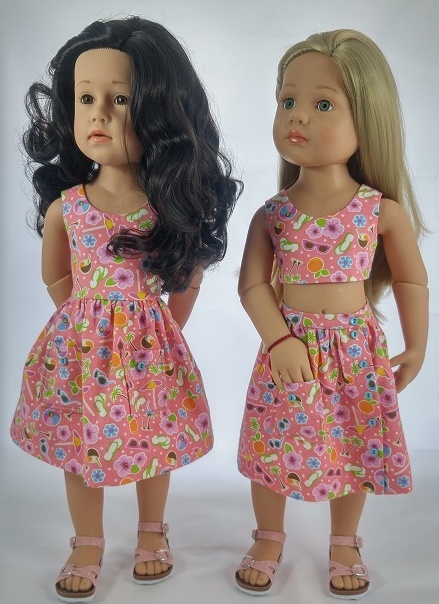 Here are Fleur in the Summer Sun Dress, and Lilli wearing the crop top and skirt. 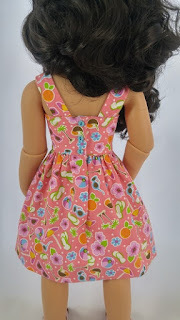 I used tiny 1/4 inch or 6mm buttons for trim on both the dress and top and skirt. 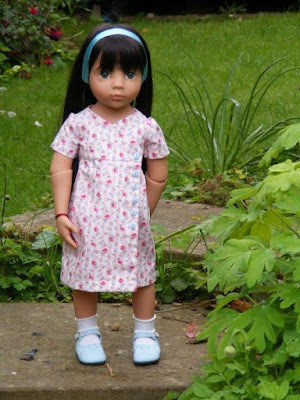 I sent the pattern out for testing just yesterday, and already I have photos of two dresses done! I asked the testers to make the dress first, and here are two wonderful results. My original inspiration for this dress was something I saw on a TV show and it was done in horizontal bands of different pinks. When I saw this dress, I was so excited to see that it really does work with such fun stripes! This is a softer, more romanic look in a lovely floral print. I think it would be perfect for a picnic in the countryside. I am really looking forward to the samples the other testers are making and will post photos as soon as I get them. Now that I have four patterns all properly formatted and tested, I hope to arrange for them to be published. As soon as I decided where and how, I'll post it here first! 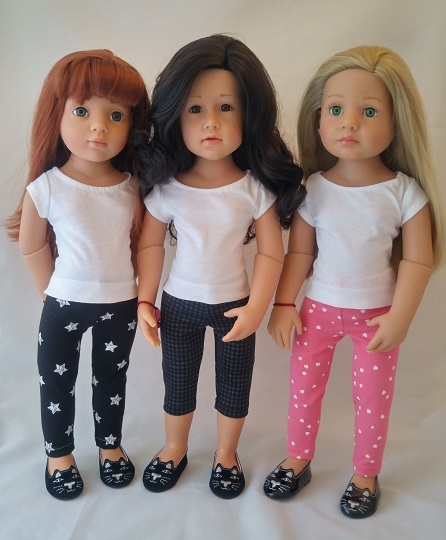 I'm thrilled to say that the 'Terriffic Testers' have all had very good results sewing from our leggings pattern! 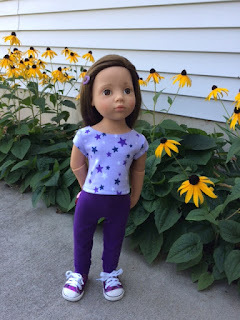 Some of this group haven't worked with knits before, yet ended up with really cute leggings! Most of them used purchased children's leggings as a fabric source to make sure what they worked with was appropriate fabric. length leggings with sparkly stars! In this photo we have Mandy in her bright pink outfit. 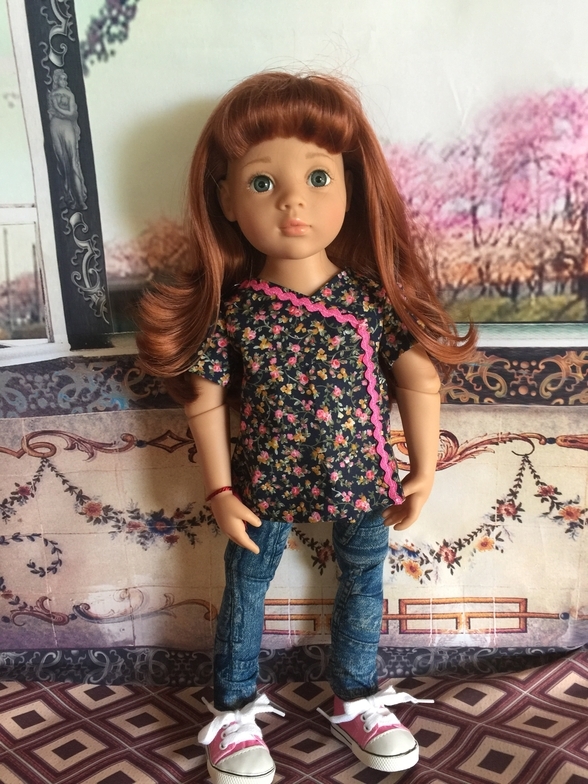 The T shirts many of the dolls are wearing are made from the free Trendy T Shirt Pattern in the Journey Girl size from Pixie Faire, with a little extra length added to the body. These Capris are a lovely aqua colour and are so pretty on Kitty. Perfect colour for her and her gorgeous sweater! Brilliant in purple! Here is Sophie ready for fun with her stars and ankle length leggings. Here's Mandy again in her fun play outfit. You can tell she loves her pets! And here are a couple of best friends out for fun in their leggings with stars! Many of the testers are making multiples of this pattern and as I'm sent more versions, I'll add them to future posts. This pattern is ready to go, and as soon as the next one, the Summer Sun Dress and Crop Top and Skirt variation are completed and tested, I'll be looking into getting them all published for sale. Tunic Length Wrap dress and Leggings! 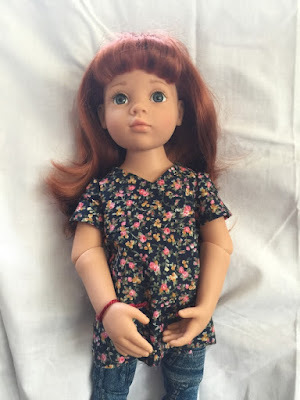 One of the testers made a Wrap Dress in a tunic length! I will be including instructions on the pattern for this length too! It makes a really cute top to wear over leggings. Clara is showing it off beautifully. And speaking of Leggings, that's the next pattern from Lilli & Fleur Couture! 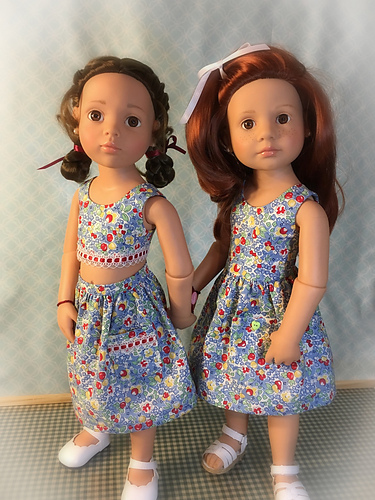 Here are the girls modeling the samples from the new pattern. The pattern will be out to the testers soon and I can't wait to see how they do with it. Some of them have little to no experience sewing with knit fabric, so hopefully they will be able to follow my instructions and get great results too! Also, my son has joined Lilli & Fleur in a techinical role. He is digitalizing all my patterns for me so they will be of professional quality right from the start! Thank you son! He has completed the pattern for the Leggings and I am incredibly happy with the result. I've asked him to work on my next pattern as a priority, and since I already have a great sample of it, the tutorial shouldn't take too long to write up once I have the digital pattern. It's needed it for photos of the pattern layout. Four of the five wonderful Lilli & Fleur testers have made my Wrap Dress so far, and I am thrilled to share their excellent results here! Each one of them turned out so well and so different too! Some of them made changes like the dress above. 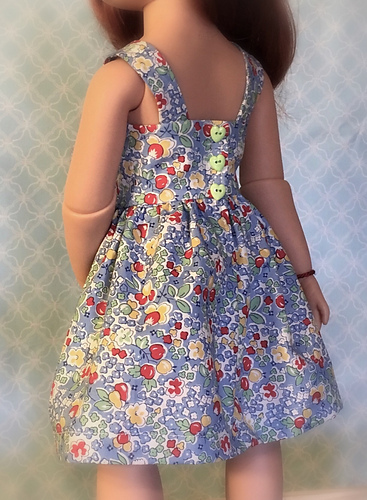 She left off all but one button and added the pretty bow which worked perfectly with the cute fabric she chose. In this case, buttons would have been lost in the print but the bow is perfect! Vroni is the gorgeous model. Kitty is wearing another really lovely dress with a double breasted button detail! I hadn't thought of that at all and think it works really well. The colour is perfect for her! 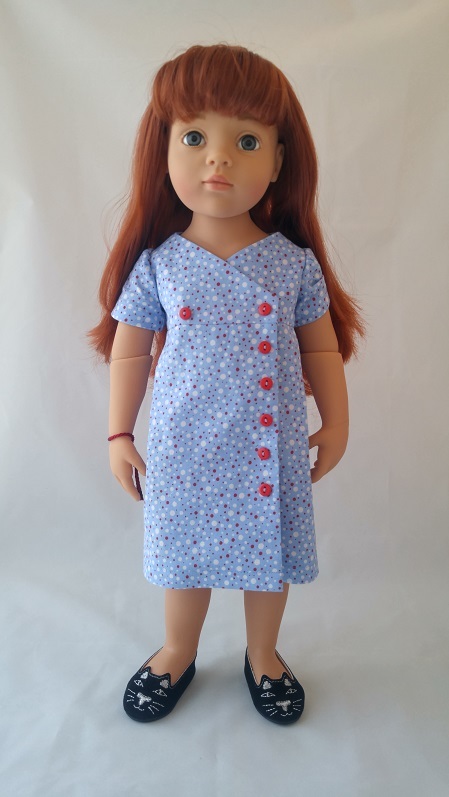 Katie is in a really pretty green floral print that looks amazing with her red hair. I love the three button layout used on this dress! I think it looks balanced and is perfect as well! 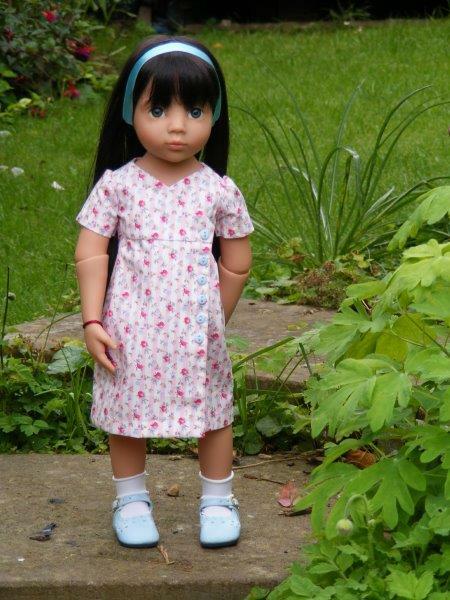 Here is Leila in a delicate pink stripe fabric! It is perfectly matched across the front and back and looks gorgeous. This dress works really well with the cropped French Back to School Cardigan a free pattern from Ravelry. Once again, a huge thank you to all of the people who are testing my patterns for me. You are amazing! 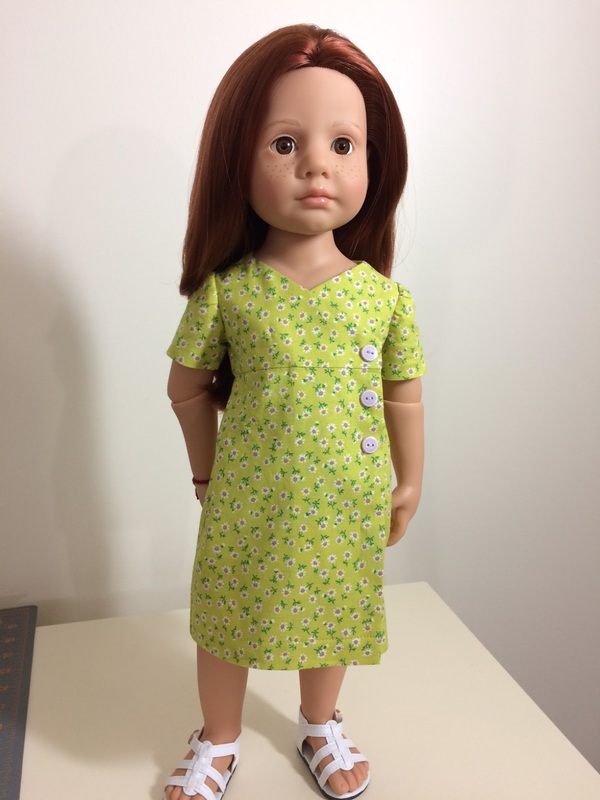 I hope to have a few more photos, including a tunic length variarion available to show soon. Next up is a pattern for leggings! I plan to have something put together for testing within a few days. The last of the three cousins has arrived in Canada to live, work and play together. Poppy arrived from Scotland today, joining Lilli from Germany and Fleur from France. Their mothers were very adventurous and ended up in quite different places, but the three cousins have always had a really close friendship. Now they are carrying on the family tradition of travel and adventure and have all decided to make their home together in Canada . What fun these three girls will have! 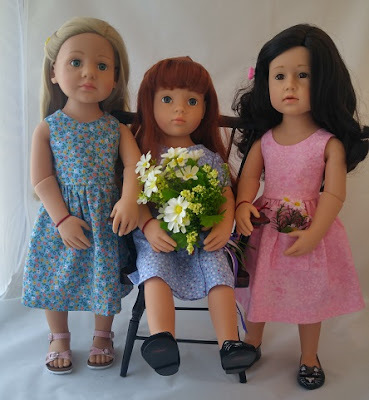 They are modeling the first three Lilli & Fleur Couture dresses, the Basic Dress on Lilli, the Wrap Dress on Poppy and the Summer Sun Dress on Fleur. Poppy is a fiery red head with beautiful blue eyes and she can't wait to be part of the Lilli & Fleur Couture design team! We are thrilled to have her here with us! Lilli & Fleur Couture is named after my first two Gotz Happy Kidz dolls. 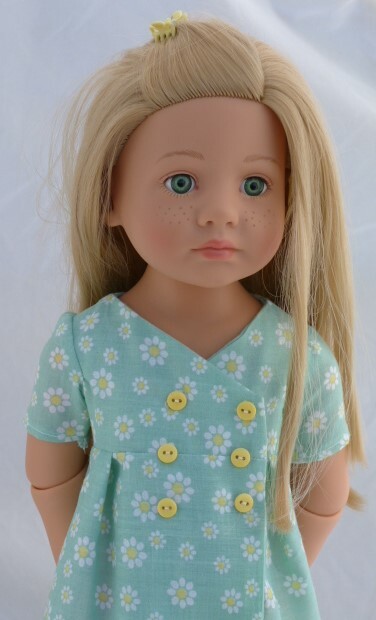 Kitty, a Chosen doll from My Doll Best Friend, renamed Lilli by me, is a delicate blonde with freckles and pretty green eyes. 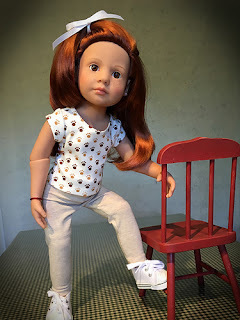 Fleur, is Charlotte 2017 by Gotz, my second doll, and she has rich black curly hair and lovely brown eyes. 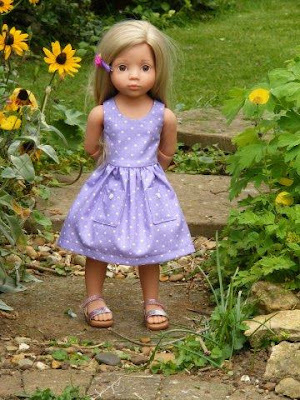 Poppy, my third Happy Kidz doll has joined us! She is the Gotz Happy Kidz Clara 2016 doll and has bright blue eyes to go with her brilliant red hair. The flowers in the logo represent each of them: pink Lily, purple iris (the national flower of France) and red poppy. 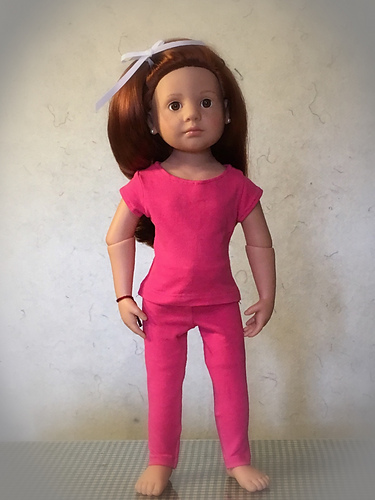 I really enjoy sewing for them but couldn't find sewing patterns designed specifically for Happy Kidz, so I am starting to design and draft my own. 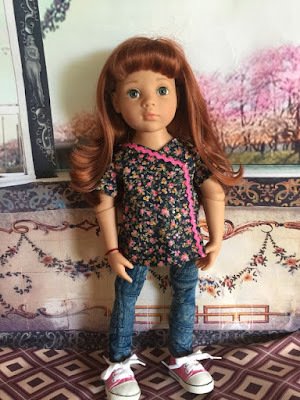 I hope to be able to market them in the future and this is about my adventures in doll clothes design.